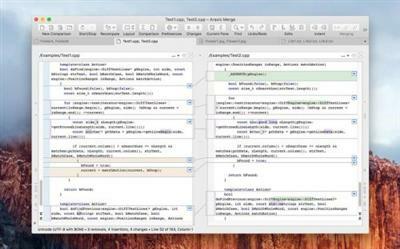 Merge is a compelling choice for software developers, lawyers, product release managers, Web designers and other professionals who work with multiple revisions of text files, including ASCII, MBCS and Unicode files. Merge integrates with many version control (VC) and software configuration management (SCM) systems (e.g. Subversion and Perforce) that allow a third-party comparison/merging tool to be specified. For legal professionals: instantly identify every change by copying text from different contract drafts being edited in another application (such as Microsoft Word) and pasting it directly into a file comparison window. Many more features.